According to a study revealed by The Great Australian Backyard Survey in 2017, the percentage of Aussie households initiating outdoor improvements is emerging with an outdoor kitchen proving to be a popular choice. One apparent trend is to invest in kitchens built out in the yard. 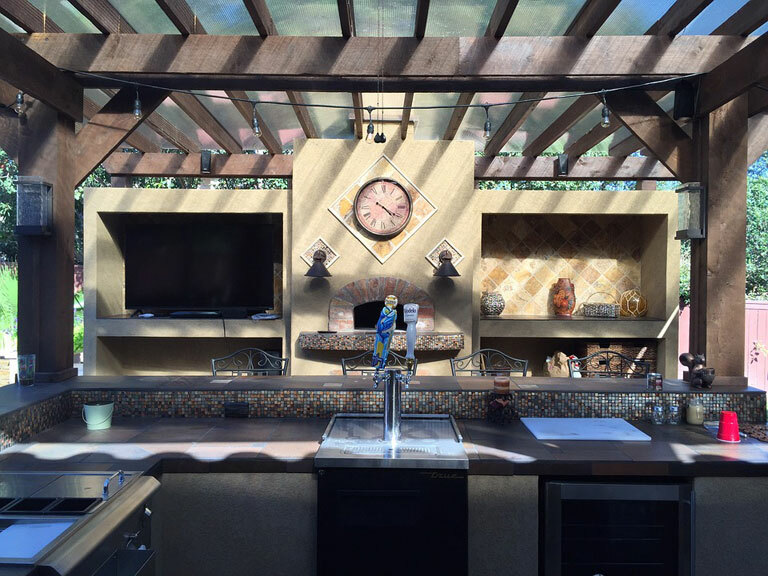 Although some are still attached to traditional renovations and large gatherings would require larger space for increased comfort, there is definite scope to have some outdoor kitchen ideas on a budget. As you start planning, think about your budget. How much are you willing to spend on this project? Are there other things that need immediate repair or installation? Whether you’re buying a new property or remodelling your existing house, organising your finances is first to consider. Do you want to see a few successful projects before you make up your desired concept? 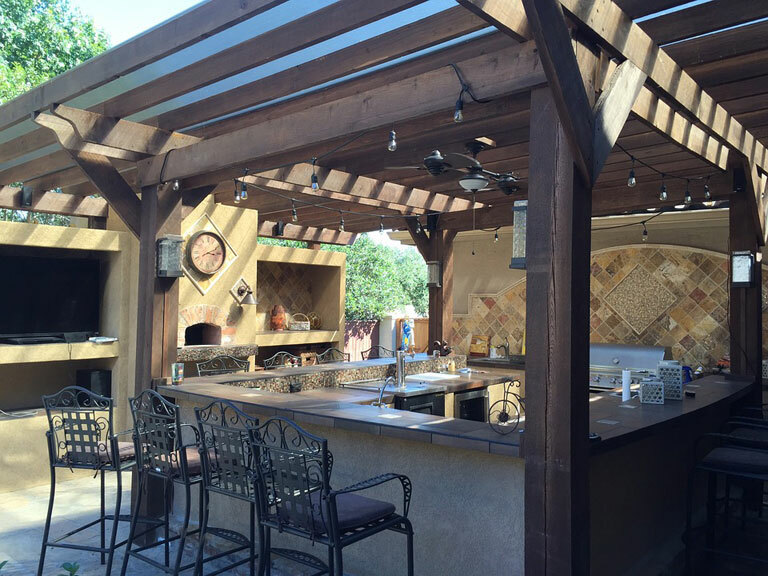 Reliable companies allow their clients to visit their outdoor kitchen showrooms to get ideas and inspiration. Ease of Access. Leaving enough space for every piece of equipment needed brings utmost convenience. Some designers recommend keeping it close to indoor kitchens to reduce one’s stress and maximise the time. Doing a few tweaks to your walls and windows can also be an option if the process demands. Appliances. Benchtops, sinks, BBQ or any grilling equipment are only some of the appliances that you can place in this area. Adding a fridge is also a wise choice, but that will depend on your budget requirements and preference. Choosing what fittings and furniture to incorporate into the structure is crucial. Durability. Kitchens built in the backyard are usually left unprotected from environmental elements. Materials such as stainless steel and ceramic are ideal for this purpose. Timber, for instance, is not advisable as it is susceptible to decay. Using weatherproofed materials is necessary to avoid costly repairs or replacement. Glass or stone veneer can be used to extend its lifespan. Aside from focusing on the technical aspect of the project, paying attention to its actual look is important to notice. Outdoor kitchen builders collaborate with professional landscape designers to offer a hand when making decisions for the project’s success. Modern outdoor kitchen ideas give off the vibe of being open and definitely “modern”. Country outdoor kitchen ideas on the other hand give it a more contemporary and traditional feel to the kitchen. Preparing a draft that specifies your preferred design can help you come up with what suits your needs, lifestyle and property. Consultations are provided to guide in each step and identify where you want it to set up. Do you prefer placing it under the trees and vines for good shading? Deciding on the style is also part of the initial process. Will it be ordinary or full-fledged? Owning a beautiful garden gives you the advantage of enjoying the weather and the outside view. Not only does a perfectly designed kitchen improve the overall aesthetics of your home or business, but it also provides lasting health benefits. Consulting a contractor specialising in custom-made kitchens is highly recommended. A reliable team can handle all the procedures from council approval to installation. Seeking out the best team is a wise investment as it helps increase your property’s value. HIREtrades is a one-stop online marketplace for connecting consumers and businesses, covering 200+ trades and serving all states across Australia. Visit our dedicated Kitchens page or Get A Quote by filling out our quick and easy form.